You don't want to miss not seeing this beautiful home, it's absolutely breathtaking, starting with the manicured landscaping, front and back of home. This beautiful 2 story home has 4 bedrooms and a Formal Living Rm with fire place, Formal Dining Rm with Chandelier, Kitchen with Island, lots of cabinets, granite countertops, recessed lighting, cable & phone jack, lighting under & above cabinets, and wood floor throughout the 1st floor. Large Family room with fire place and door leading to a large outside deck. First floor also has a bedroom with full bathroom. The second floor Master Suite has a fire place, attached sitting room, 2 walk-in closets with lots of space, and full bath. The outside features a deck, lighting, beautiful landscaping, 2 car rear entry garage, large driveway with extra parking in rear of home. In walking distance to middle and elementary school. 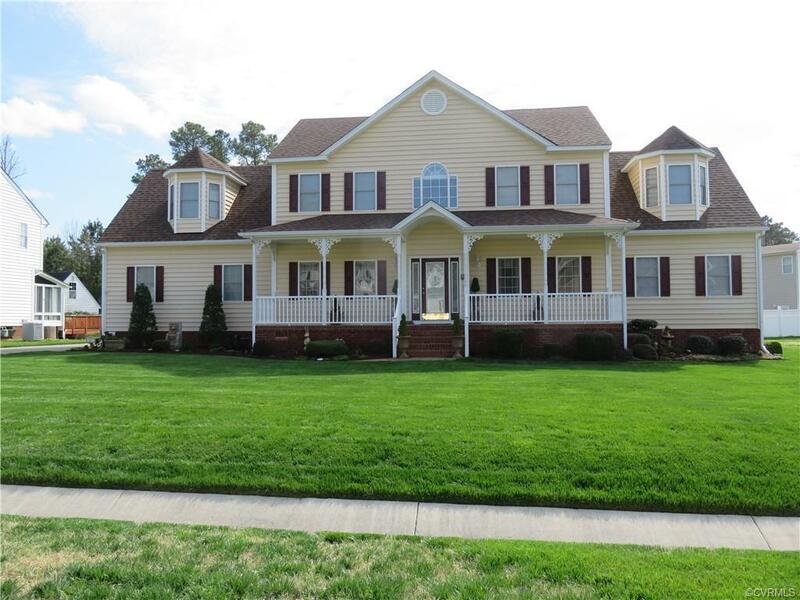 Minutes from I-295, I-95 and approximately 15 minutes to Fort Lee. This beautiful home is a must see with many upgrades. Directions: R10 Toward Hopewell From I95 And R10 Toward Chester From I295 Then Left Onto Bermuda Orchard Drive, Left On Greyshire Drive, Left On Mountshire Lane, Right On Mountshire Ter, House On The Right, 813.